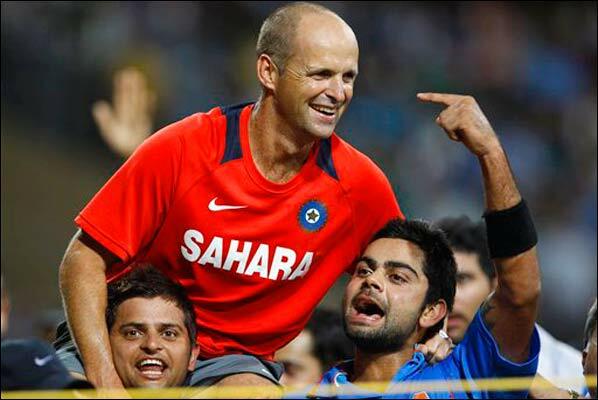 Gary Kirsten on Monday appreciated the sentiments of Indian players, who want him to stay as coach of the World Cup winning team, but politely refused to honour the wish, citing family commitments. Senior India batsman Sachin Tendulkar and Yuvraj Singh want Kirsten to continue in the job, saying the inspirational South African worked hard for the team’s success and would be missed. Kirsten said it would not be possible as he needs to spend time with his family. “It’s been humbling to be asked to stay back. This has been a massive privilege for me but I did make a commitment to my family that it’s gonna be a three-year journey,” Kirsten said. “It’s a lot of sacrifice to be away from home for long time. I have two sons — seven and four — and they need to see little bit of dad. It’s not easy,” he told a telivision channel. Kirsten had decided to quit from his position as India coach before the World Cup had begun and has played a key role in transforming the Indian team into world beaters. “Personally I want Gary to continue but I understand he has got commitments and he must have thought about this before the tournament. I respect his decision,” Tendulkar said. “It has been a pleasure to work with him, he worked as hard as the players, he is like a bowling machine, bowling 200-300 balls to the batsmen. It has always been a fabulous experience to rub shoulder with him, we will miss him,” he added. Yuvraj, who was going through a rough patch before the World Cup, said Kirsten was a father figure and helped him to regain his confidence. “He always kept a check on me. He pulled me up when the chips were down. He is a father figure and I am going to miss him,” Yuvraj told ICC’s official website. “Cricket has been in the right direction since Gary came on and I hope it will remain so,” said Yuvraj.